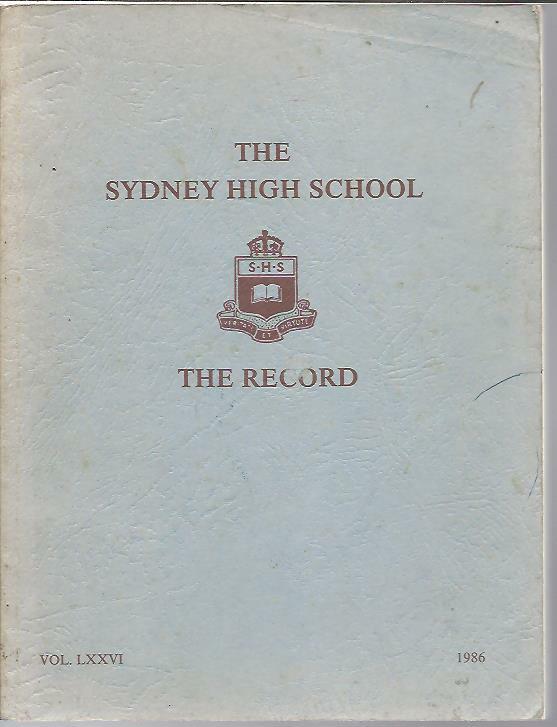 Publisher: William Brooks & Co, Sydney 1912, 2nd edition (1st was 1898), 2 volumes, 101pp + 94pp. with many line illustrations of fantasy. Description: Australian fairy tales are generally a blend of Aboriginal legends & an attempt to populate the Australian bush w/ the antipodean equivalents of sprites, goblins and fairies. So, Jessie Whitfield has her bush fire spirit quenched by the “raindrop elves"
Condition:Crisp red cloth-bound hardcover with bright gilt title to spine, gilt "Hargreaves Nugget" motif repeated on front cover, STRAIGHT, TIGHT & CLEAN in GOOD PLUS CONDITION. Name & address in pen to 1/2 title and a mark to the frenpr. Description: First published in 1956, this book is reprinted exactly as it appeared then. Today Hill End is a quiet corner of NSW near Bathurst, a haven for artists who have discovered it's charm. Then it was the scene of one of the greatest searches for gold. Title: S.C.E.C.G.S. 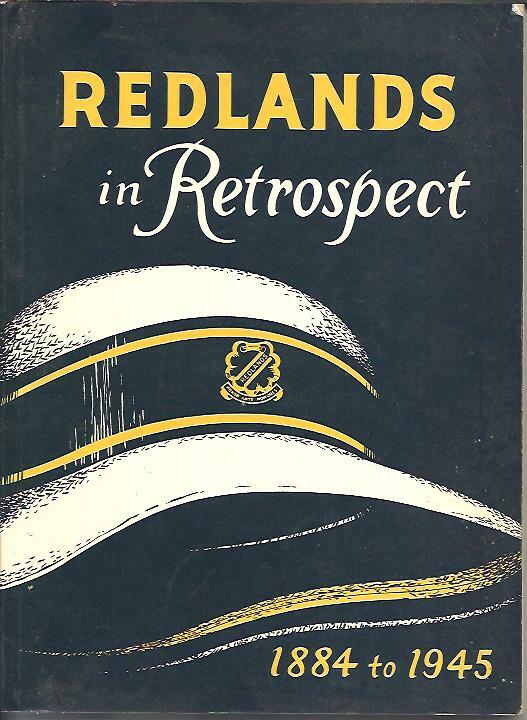 Redlands in Retrospect 1884-1945 The story of SCECGS Redlands up to the retirement of Miss Roseby in 1945. 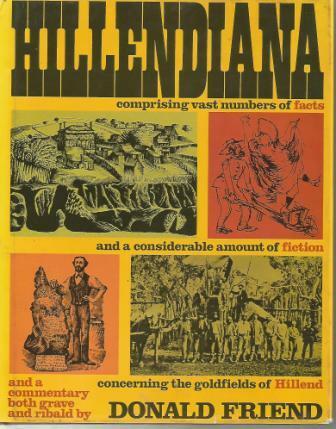 Description: The Story of Redlands from its founding in 1884 to the retirement of Miss Roseby in 1945. With b/w photos, 131pp. Condition:Straight, Tight in GOOD CONDITION with some cover marks (see scan). Condition:Light blue hardcover with rubbing and marks to intact & robust cover, sunfade to robust spine, dedication to illustrated front endpaper, STRAIGHT & TIGHT in GOOD MINUS CONDITION with some edge of pages darkening, an honest copy of a SCARCE title. 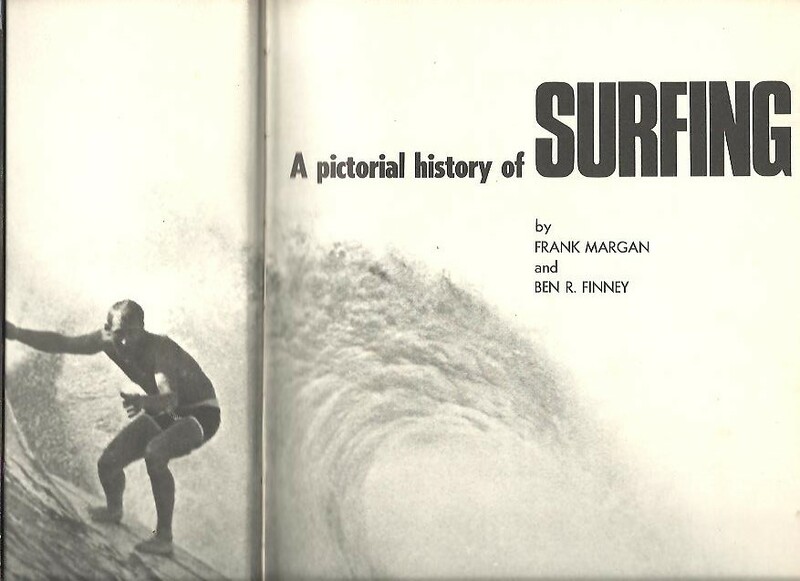 Description: SCARCE: Hawaiian history, SLSC, Olympics, Sharks, Surf carnivals, the "Duke", The Surf Ski, 1964 World Titles, Body Surfing, Making a board, "Midget","Nat", Hawaii in the 1960's, Keith Paul, Surf Movies, AUSTRALIAN SURFING HISTORY and SITES. B/W Photos. 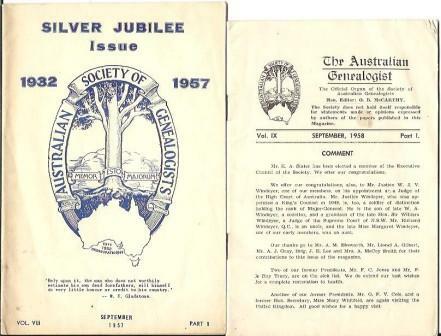 Author: by the editors for The Journal of the Society of Australian Genealogists, published quarterly. 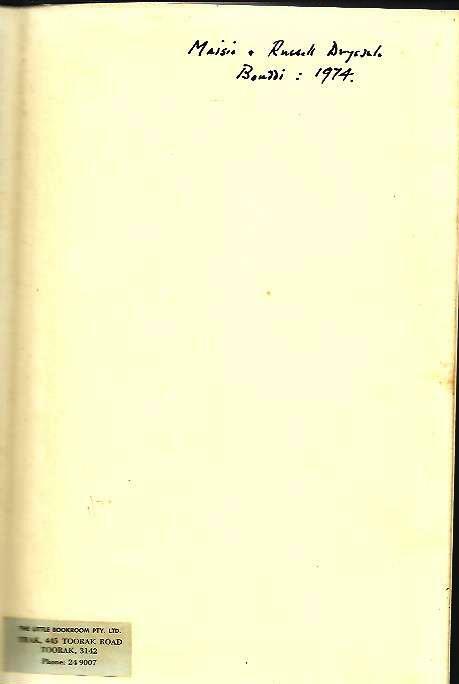 Publisher: Chatto & Windus, London, 1973, FIRST EDITION, hardcover *vo without dj,400pp, Seven parts, chronology, list of works, index. Condition:Green cloth-bound hardcover with glass-base stains to cover, Inscription to front endpaper, TIGHT & CLEAN in GOOD CONDITION.